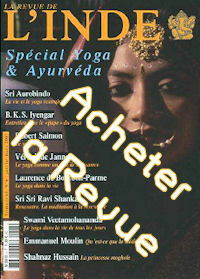 Carol Furtado est la danseuse vedette de la comédie musicale La fabuleuse histoire de Bollywood (The Merchants of Bollywood), en tournée mondiale, déjà passée en France en 2010, et qui sera de retour dans l'Hexagone (voir le calendrier) entre mars et avril 2011. 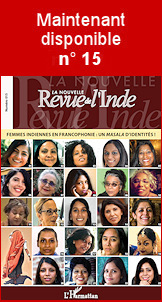 LNRI/IR : Miss Carol Furtado, you are well known as a singer and dancer in India and English speaking countries, but could you please introduce yourself to our French visitors ? CF : Firstly a warm 'Bonjour' to all the readers; my name is Carol Furtado and I'm an Indian dancer who plays the protagonist in the show the Merchants of Bollywood. I've always been a dancer, although I did model for a little bit and hosted yoga programmes. I am also a fashion designer on the side, however the show keeps me very busy currently so I have to be extremely selective about the work I do. As far as the singing is concerned- I'm a bit better than a bathroom singer but I don't think I'm known anywhere for my singing talent. LNRI/IR : From when and where did you get the taste of singing and dancing ? CF : I feel like I was born to dance. My uncle uses the ABBA song 'Dancing Queen' to describe me. Growing up my family was quite conservative and the purse stringa were tight so even though I've harbored a passion for dancing I never got the opportunity to train formally. Professional dancing happened quite by chance. I was at a local dance when I was approached by one of the leading choreographers of the time and that's how it all got started; no looking back since then ! 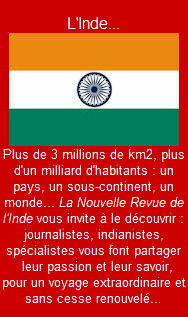 LNRI/IR : How did it happen for you to become the star in this great show : 'The Merchants of Bollywood' ? CF : A friend spoke to me about the show and because I didn't seem too keen to audition for a Bollywood show he went behind my back and sent my pictures to the producer and director of the show while recommending me highly to them. When I was called for a meeting with the director I went along simply to humor my friend. I was escorted to a conference hall where veteran actors of the show were seated looking at me with dubiety. During the script reading I was so nervous as I could feel myself being scrutinized by hawk eyes. Somehow I made it to the last page and before I knew it finances, dates etc were being discussed. The entire selection process was rather quick compared to the impact it has had on my life and carrier since. 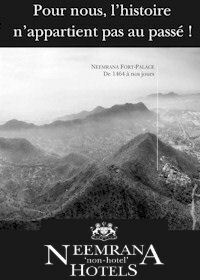 LNRI/IR : Could you please tell us about the story ? CF : The story is the conflict within the Merchant family- 2 generations with contrasting ideals- set against the background of Bollywood. This conflict has been depicted using differing dance styles. The story isn't anything new- and which is perhaps why it can be relatable to audiences anywhere- but what sets it apart is that the Bollywood 'masala' has been successfully packed into merely 2 hours of the show. LNRI/IR : And what about your part : Ayesha... who is she ? CF : Ayesha is a modern Indian woman who comes from a family with rich classical roots. She values her traditions but at the same time is keen on making her own mark. Ayesha rejects her classical training to pursue her dreams in Bollywood. She is an ambitious, independent and a courageous woman who leaves her home to make it on her own in a very male driven Bollywood industry. LNRI/IR : What do you feel playing this part ? CF : Firstly it is exciting to play a character based on a living person. As a dancer I can relate a great deal with Ayesha. Growing up dance was a hobby and not considered a respectable profession so I can empathize with Ayesha's struggle to pursue what she is passionate about. I feel this is an echo of most of the youth- you do not wish to be disrespectful of traditions or your roots but you also strongly desire to establish your own individual identity and follow your own bliss. CF : The protagonists of the show are Ayesha, Shantilal, Ayesha's grandfather, Uday who plays Ayesha's love interest and the entertaining Tony Bakshi. Besides these there are a medley of other characters who help in carrying the story forward. LNRI/IR : You already preformed in France and will be back in 2011 : what do you think of French public ? CF : I've always felt that the French audience has been the best (both in terms of numbers and the magnitude of the appreciations received) ever since the tour began. It was a pleasant surprise because we were warned to the contrary, but the show has been warmly received across France- whether it is in the metropolitan cities or the quiet little towns we've played in. LNRI/IR : 'The Merchants of Bollywood' is about this special world : Bollywood, Hindi cinema... What do you think about this world and its stars ? CF : What can I say, Bollywood has catapulted Hindi cinema to a global platform. It has showcased Indian culture and contemporary issues before a greater audience across the world by putting things into a more marketable format. As far as the stars are concerned, they are worshipped locally and are recognized and respected internationally. I don't know if that can be said of the stars of any other film fraternity. LNRI/IR : What are your projects for future ? Did you think of a career as a Bollywood actress ? CF : At the moment I'm busy with MOB, however, there are some interesting projects in the pipeline, which are obviously on hold at the moment. To get all the juicy details you will just have to wait and watch.